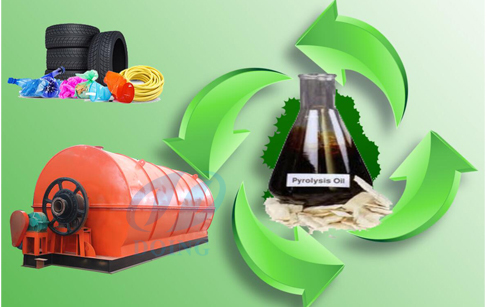 HomeFAQWaste Tyre Recycling Pyrolysis PlantHow does plastic to fuel conversion process ? Plastic to fuel conversion process machine adopts the pyrolysis technology to achieve the plastic waste to fuel oil conversion. The plastic to fuel conversion process machine is a chemical process of breaking down large molecules of plastic into smaller molecules of oil, gas and carbon black. 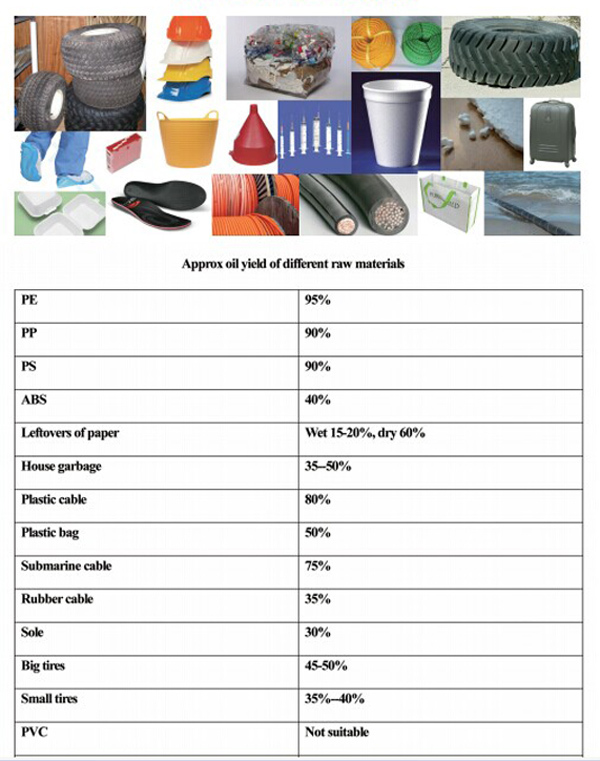 The following is the details about how to get fuel oil from plastic waste. 1. Put dried plastic waste into reactor and the quantity shall be controlled under 2/3 of reactor for rotating more smoothly. Then close the feeding door. 2. The plastic to fuel oil conversion includes two stages. From 100℃ to 250 ℃ is the preliminary stage. The light oil gas shall be released at 100 ℃ and fluid oil shall be released at 120℃ . From 280℃ to 350℃is the top output rate interval. Oil gas will be collected into manifold, heavy particles and oil will be gathered and liquefied in center of manifold and drop down into the heavy oil tank. The lighter gas will rise up to the multi- functional oil condensers, then be liquefied into oil and stored in the oil tank. The incondensable gas through de-sulfuration and de-dusting by hydroseal will be led to heat the furnace for reducing the energy cost. 3. Cool down the plastic pyrolysis reactor after the process. Carbon black will be discharged automatically when the temperature falls down to 50-70 degrees. 1. Add it into heavy oil generator to produce electricity. 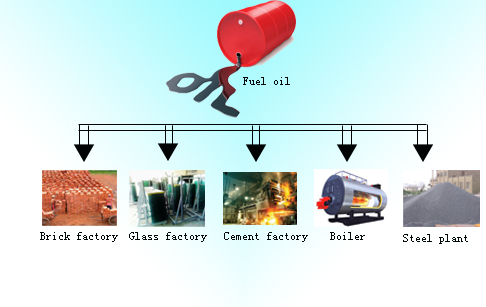 prev: How to produce oil from tyre?